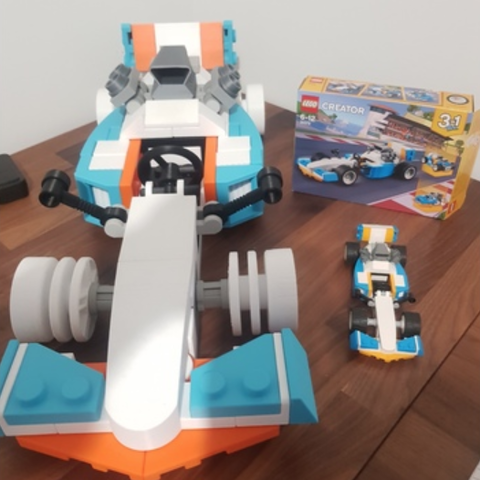 Thought id learn AUTODESK inventor and what better way to learn then by redesigning a lego kit. 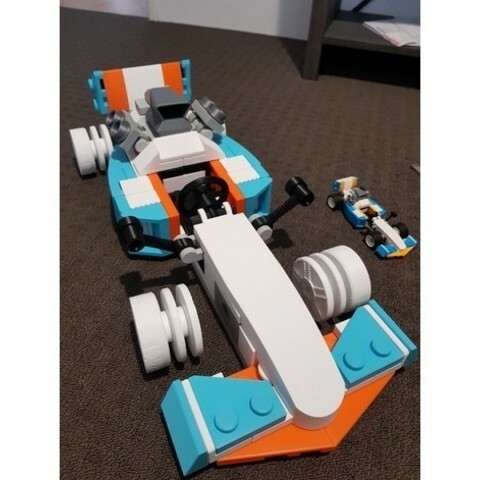 This is the lego creator kit 31072 and ive made it into the F1 car configuration. 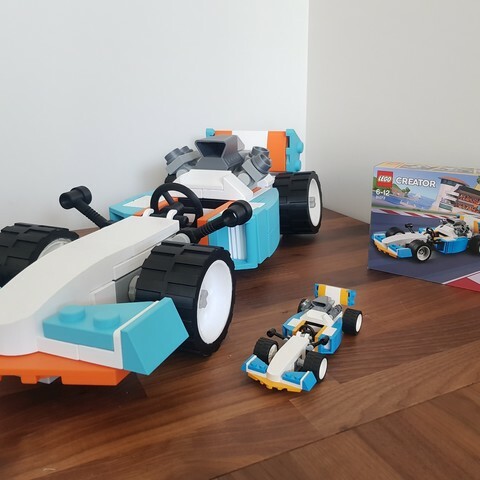 The STL files are 1:1 to the real lego kit with some exceptions. My version i have scaled up 400% and measures just over 600mm long. Everything is pressure fitted just like the real deal. No glueing required. It rolls freely and all the parts move the way they should. 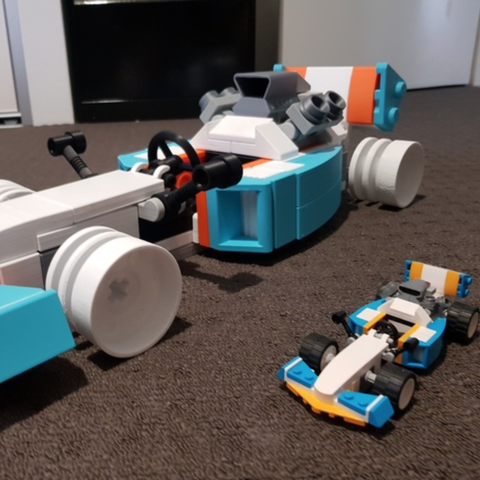 Im yet to print the tires but was hoping to use a flexible material to press over the rims. Please see picture with what parts you'll need to print and what colour. 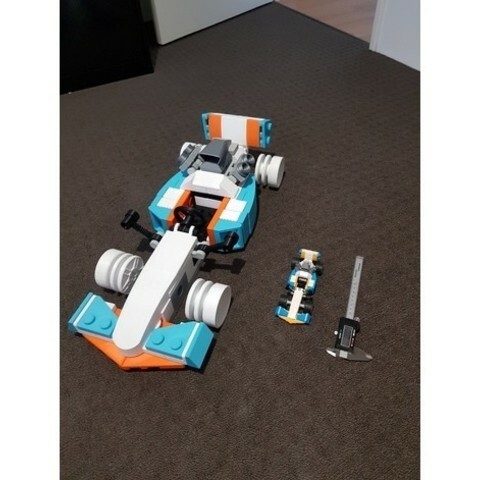 1 or 2 parts left out because i only had intentions of building the F1 car. Everything was printed with supports to give clean surfaces but isnt required as the inside of the brick you dont see anyways. All parts printed in PLA+.